Create sticky notes for orders and categories from anywhere in the back office. Set the reminder and expiry time for sticky notes. 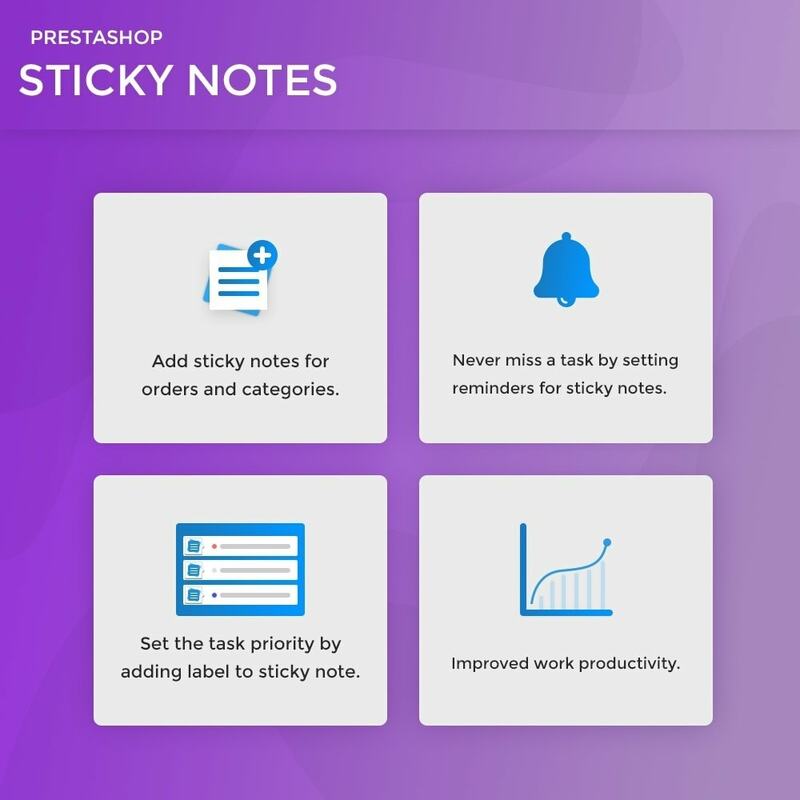 Set the background color of sticky notes. Sort sticky notes date wise, order wise, category wise, or alphabetically. A new column “Sticky Note” added on the ‘orders’ and ‘Categories page’. 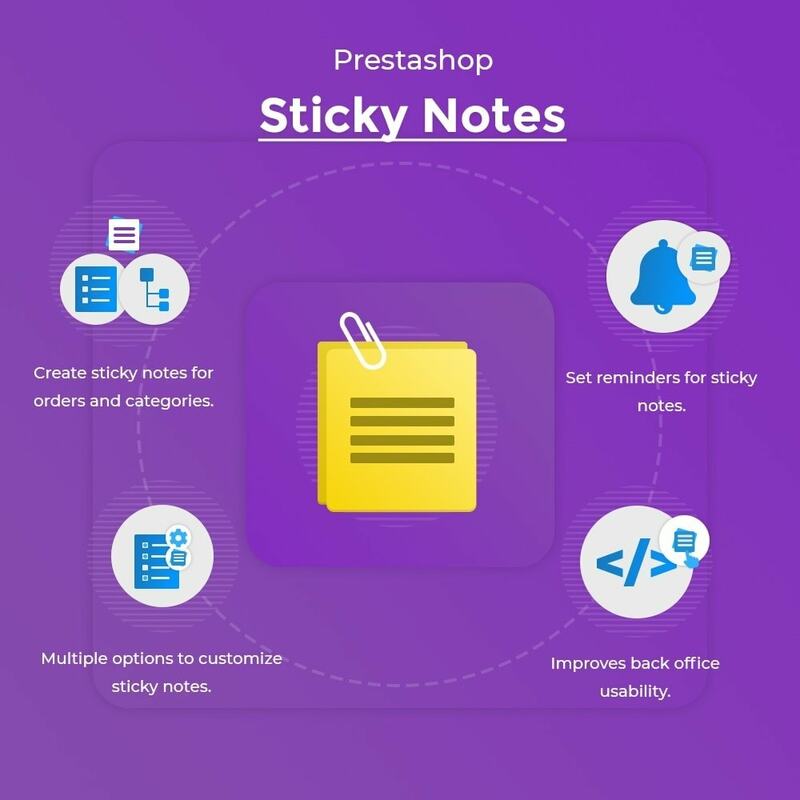 Create the label and add it to the sticky note so that you will be able to identify the necessary information you have added to a sticky note among so many sticky notes. Improves the usability of the back office. Upload zip file of “Sticky Notes” module. module's table structure improved according to prestashop's standard table structure.